IPVanish VPN average rating: 3.1 /5 based on 7 reviews. Most of the IPs are banned on a particular set of forums I visit. Their IPs are also on blocklists. Speeds feel capped at 1Mbit when I download from torrents, however speed tests say much higher. Haven’t contacted their support so I just gave them 3 stars. Been able to connect to their servers all the time. No support from providers at all after enquiring for several days. Server location is not accurate as well. More like a joke to me. Requested for refund but doesn’t put much hope in getting back. Those good reviews i saw could be commented long ago or either a marketing scheme created by them. Beware users. IP Vanish has the WORST customer service I have ever seen. Its like nigerian scammers who set up this website. I simply asked for a reset on my USERNAME & found out how messed up their customer service is. Yes they have a decent service but there is no such thing as a USERNAME reset. When asked for a USERNAME request I received some careless E Mail from Justin who said: “Please send me your username & the last 4 of the card you used for the transaction. I JUST SAID I NEEDED help with username reset because the password reset is right there. They don’t have a username rest if you forget it you are sunk. I sent Justine back an E Mail that explained what I was looking for & provided all the info ration I could which would prove I was the customer. I only had 4 days left on the service & I was going to renew. Justin sent me back 2 BLANK E-Mails & has failed to help me after 12 hours. He said it would “usually take 3″. They will ignore you in the chat even if the Live” button is on & they seem to care less about how the customers feel. So if the service works great, because I have found 2 other service that are exactly the same & don’t have crappy customer service. You cant ignore the customer in CHAT, ignore them via E-Mail & keep customers. I was never able to get the last few days of service & they don’t give a damn. As far as the product goes its decent, not the best I have used but if you have one problem you are are on your own. You see you have a product created by fairly intelligent people who gave their customers service responsibilities to a bunch of idiots who have the same set of skills & empathy for their customers as a nigerian scammer. I will never use their service again & have convinced amy others, that there are better companies that actually care about the customer. These guys are great, the speeds are excellent, no problems streaming netflix, bbconline and NFL Gamepass from Eurozone. Overseas links are great, maxed out my 15Mbit connection. Great solution for Usenet downloading. The speeds are really poor and i can only get 1 to 2 mbps. Also i get constant emails from them telling me i am breaking their terms of service regarding copyright. I thought these things are meant to be private? I am currently about to cancel and hopefully find a better service. 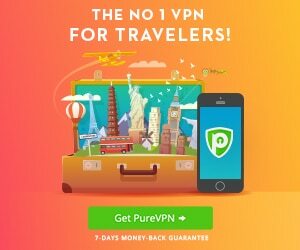 After reading VPN reviews I decided to sign up. 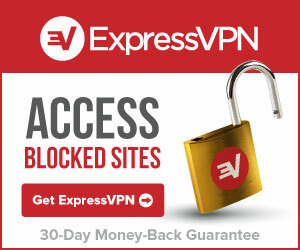 With all the VPN’s on offer you think they would make it easy, I have used 3 different ones in the past….thought I might change. LIke it’s only a VPN. I can have others up and running in minutes. 10$/month – not bad price for that service, I don’t like it though. I have been using it for 5 days and got a refund. They have huge problems with servers, at once time speed is 10/5 Mbps ping 50 and other day it’s just mere 2/1 Mbps ping 200, it’s really hard to predict. Some servers will sometimes disconnect you every 30 minutes or so for no reason. I never got beyond 15 Mbps for download speed on any server, and they have huge geolocalization problems (like German server is in Netherlands, Japanese in USA etc.). Their support is great though, you can expect an answer in minutes, sometimes it’s hours – they’re very respectable and professional. Unnecessary logging (timestamp, duration – standard connection logs), they also never reveled how long they keep these logs. Overall – 3/5 – could be better.